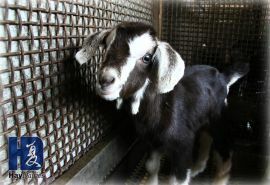 Image from www.haydairies.com.sg – A Goat Farm in Singapore that Marcie loves to visit! Museums, Factory Tours, Animal Farms but Swimming? There are many fun activities to do as a family and some of the Lifestyle tips on DrSearsLean.com are playing ‘I Spy’ in a museum, learning how things are made in a factory tour and visiting an ‘exotic animal farm’. Swimming is also listed and that includes having fun with balls and slides in water parks or leisure pools. But many parents are worried about bringing their child with eczema to the pool, fearing that the chlorine in the swimming pool water may worsen the eczema. On the contrary, my baby’s doctor actually advised swimming three times a week but not more than 10 minutes each time. Of course, there are some do’s and don’ts to follow and particular to eczema children, be sure to shower them immediately and apply generous amount of moisturizer. According to a factsheet from the National Eczema Society, chlorine is generally the least likely to cause skin irritation. In another of their factsheet, it is suggested that re-creating chlorinated swimming pool with a bleach bath can have positive anti-septic effects on the skin. In particular, eczema skin is susceptible to colonization of staphylococcus aureus bacteria that can cause infection if it penetrates the skin. More than 90% of the people with eczema have staph versus less than 10% of people without eczema. Swimming is therefore a fun way to reduce this bacteria and applying steroid will then be more effective (of course, moisturizing is a must). Chlorine and other chemicals in water can sometimes be the cause of skin irritation and contribute to eczema in a small percentage of kids. Always bathe your child in clean fresh water after swimming and avoid using regular soap. Most regular soap, whether liquid or bar soap can cause dryness. A natural soap mixed with moisturizing lotion and free of perfumes will enhance skin moisture. These can be found in any drugstore or supermarket. Also avoid scented lotions and use PABA-free suntan lotion to protect their skin. Be sure to use a generous amount of moisturizer after bathing your child. The lotion helps seal in all the moisture gained from the bath to help control your child’s eczema. MarcieMom: Thank you Dr. Sears for your recommendation. Next interview, we’ll continue to explore more Exercise Tips! Very interesting, Marcie! I didn’t know that about the chlorine. Something to keep in mind as my boys get older and they start to swim. I’ll definitely pass this information along. Thanks for sharing! Great post Mei! providing us this useful information is really a big help. I know that a lot of people will benefit from this and i will surely follow all your advice. Thanks for sharing this with us and i’m looking forward to read more from you. Thanks for this very helpful information. I am preventing myself and my daughter to swim in a public swimming pool, I know that it can harm us by getting some bacteria from it. We rather go to the beach, salted water can help in healing some skin allergy and wounds.